Provide comfort for the family of William Thomas with a meaningful gesture of sympathy. 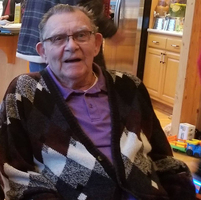 William Paul Thomas Sr., born October 17, 1930 (on his mother’s 19th birthday) to Elise P. & Marvel May (Johnson) Thomas in Minnehaha, near Vancouver, WA passed away February 1, 2019 of small-cell lung cancer. In 1945 his family moved to Grayland, where his father purchased a cranberry bog. While in high school, his family moved to Oakville and he graduated from Oakville High School in 1948. 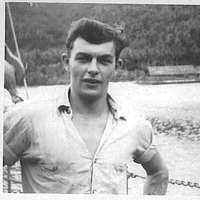 He enlisted in the U.S. Navy after high school, and served for 4 years during the Korean conflict, mainly on the USS Cushing. Once he returned to the United States, he was stationed in the Boston area. While in Boston he was able to see all the major league baseball teams play, both at Braves Field and Fenway Park. He was very proud of that. In 1953 William married Lorraine Spoon. They had 4 children, and later divorced, but remained friends. In 1974, he married Grace Karmun in Montesano, WA. She survives him at the family home in Westport. William retired from Ocosta School District #172 in 1995 where he had been the groundskeeper/maintenance man for 19 years. Prior to his employment at Ocosta, he spent 20 years as a self employed fisherman. He and his wife walked each year in the 24 Hour Relay For Life. He was active in fundraising for that charitable event. William was also an active bowler for a lot of years. He loved to fish for trout, salmon, and sturgeon. He had been a past commander for the Gen’l Doolittle VFW Post #3057 in Westport, where he had been a life member. In addition to his wife of 44 years, he is survived by four children, William (Leah) Thomas Jr, of Tokeland, WA, twins Jacque Thomas and Janet Woolum both of Tempe, AZ, ad Cathy Whitney (Ted Poole) of Markham; sister Sharon Ann Lessard of Surprise, AZ; grandchildren Shane Thomas (Tanya Brown) of Tokeland, WA, Risa Thomas (Travis Kuykendall) of Bothel, WA, Alissa Whitney of Ocosta, WA, and Erin Whitney (Svein Wise-Hansen) of Tillamook, OK; great-grandsons Dereck, Audie, Devyn, Brandon, Travis, and Wyatt; great-granddaughters Marisa, Tate, and Kirsten; 2 nephews and several aunts, uncles, and cousins. He was proud to be friends with the Spoon family, even though they were no longer related. Mr. Thomas was preceded in death by his parents, two nephews, and numerous aunts, uncles and cousins. He will be cremated and a celebration of life will be held at a later date. The family requests that in lieu of flowers, memorial donations be made to the Aunta’s Angels 24 Hour Relay for Life, Grays Harbor team or the ambulance division of the South Beach RFD. To share memories or express condolences please visit www.harrisonfamilymortuary.com Harrison Family Mortuary is honored to assist the family. To send flowers in memory of William Thomas Sr., please visit our Heartfelt Sympathies Store.